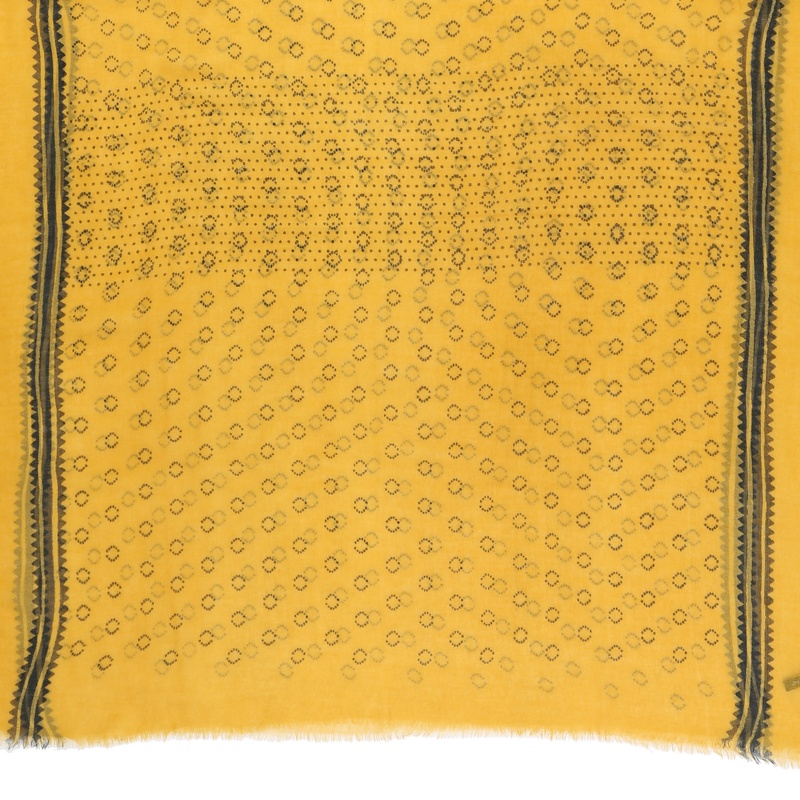 This yellow wool scarf is covered in small black circles and edged with a pretty black zig zag patterned border. The edges are softly frayed and the label is attached with two taupe tassels. 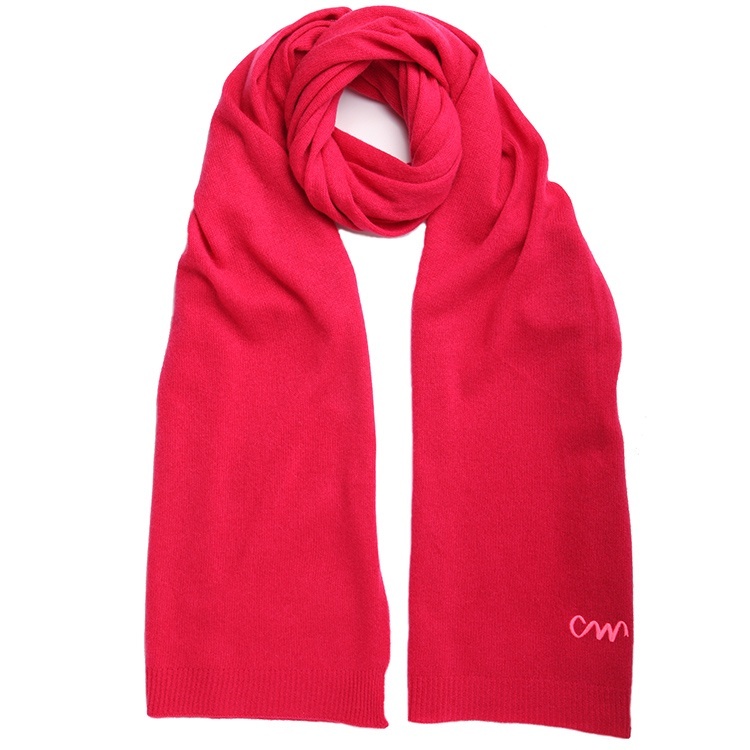 It is spun from 100% finest lambswool so is very lightweight and not at all bulky. 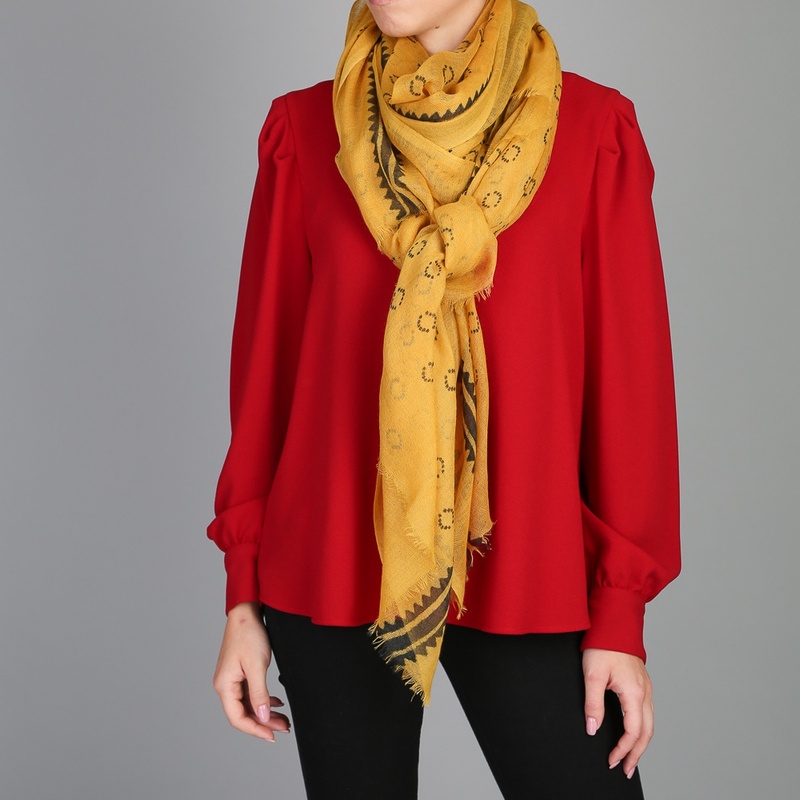 It is a large scarf so it can by styled in a variety of ways and would also work well as a wrap. 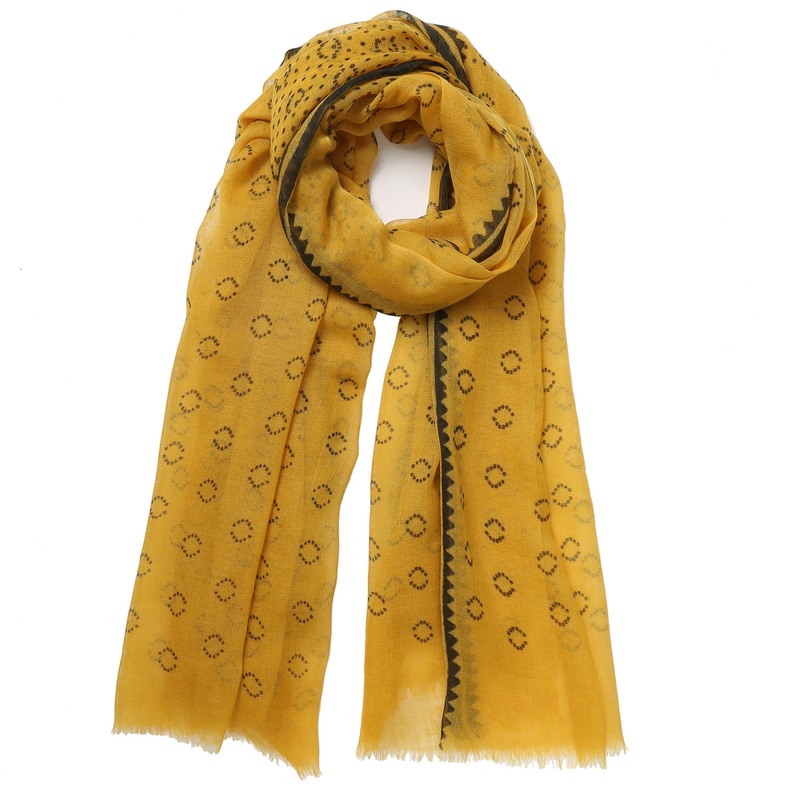 Yellow is an uplifting and joyful colour to wear. 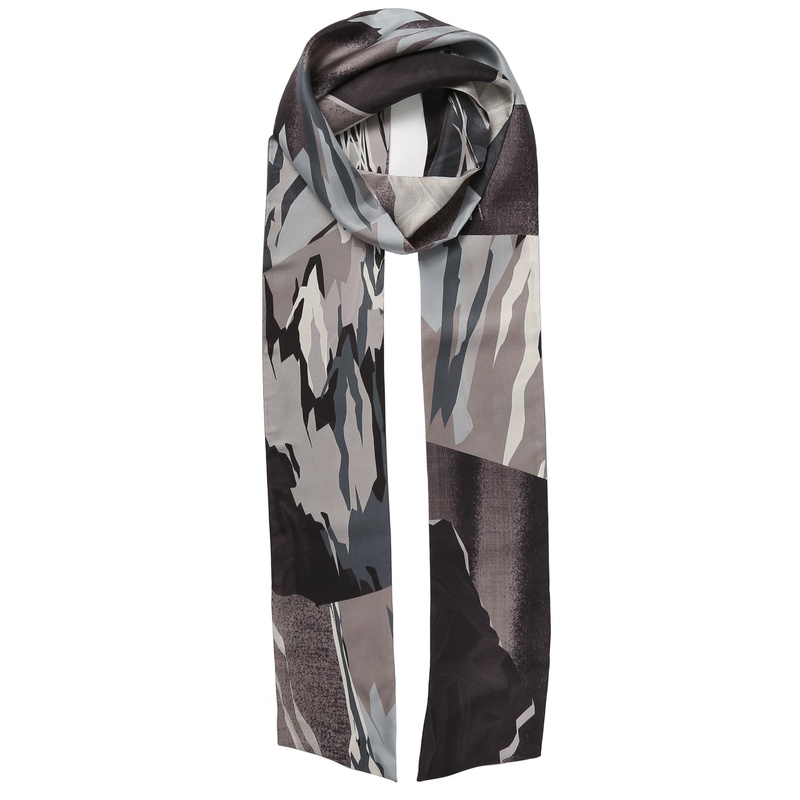 This scarf is super lightweight so would make a great splash of colour on a transitional outfit. 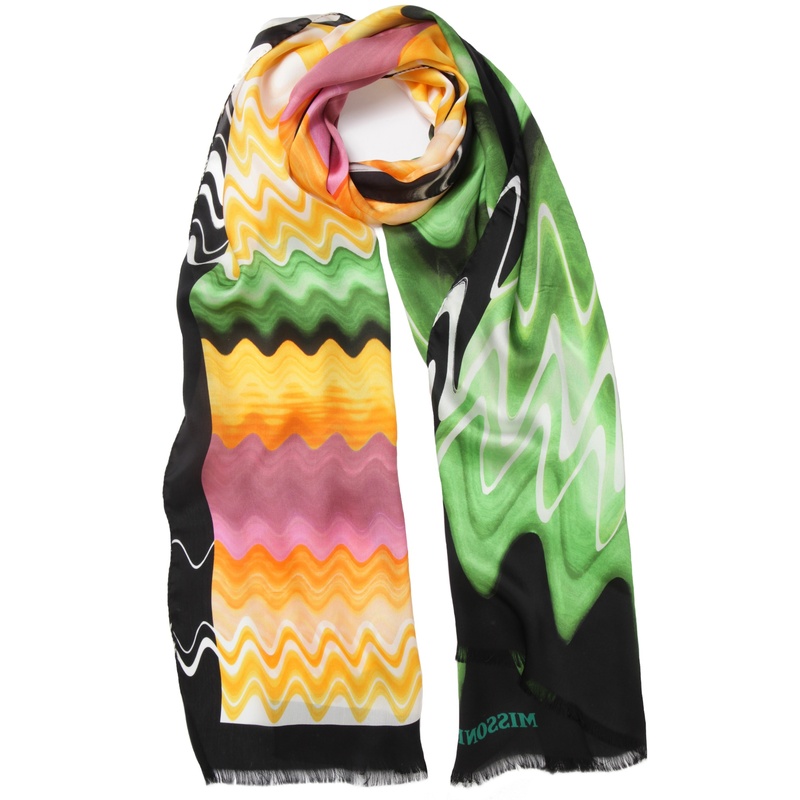 Without caring too much about fashion-trends or commercial restrictions Hellen van Berkel makes limited editions of her scarfs, and this means that CW can buy different designs for each season. 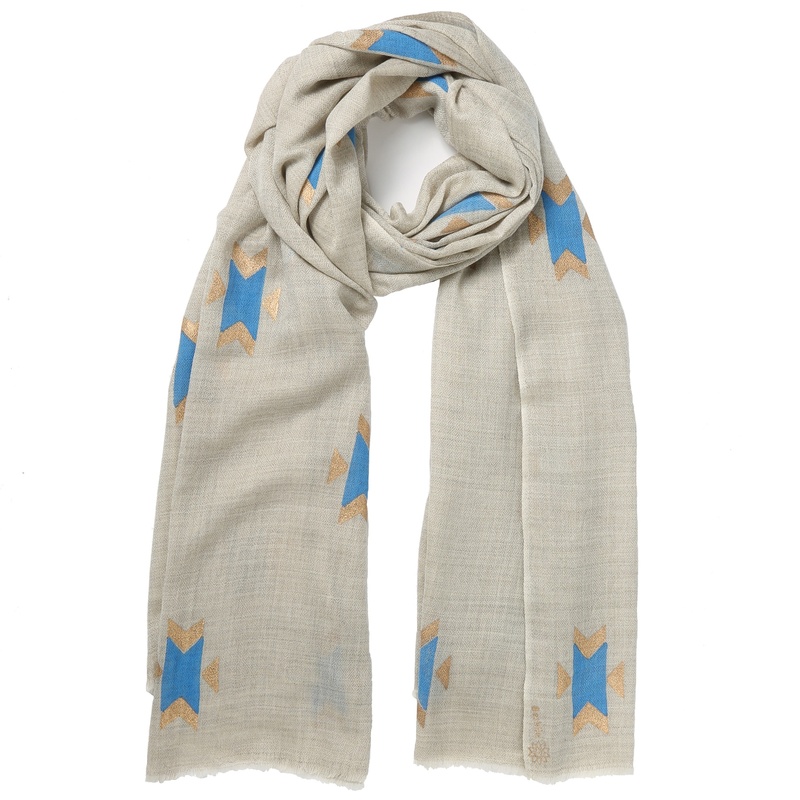 Block printing and digital printing are her trademark design tools but often her scarves are finished with hand stitched embroidery and tassels which gives them an extra edge. 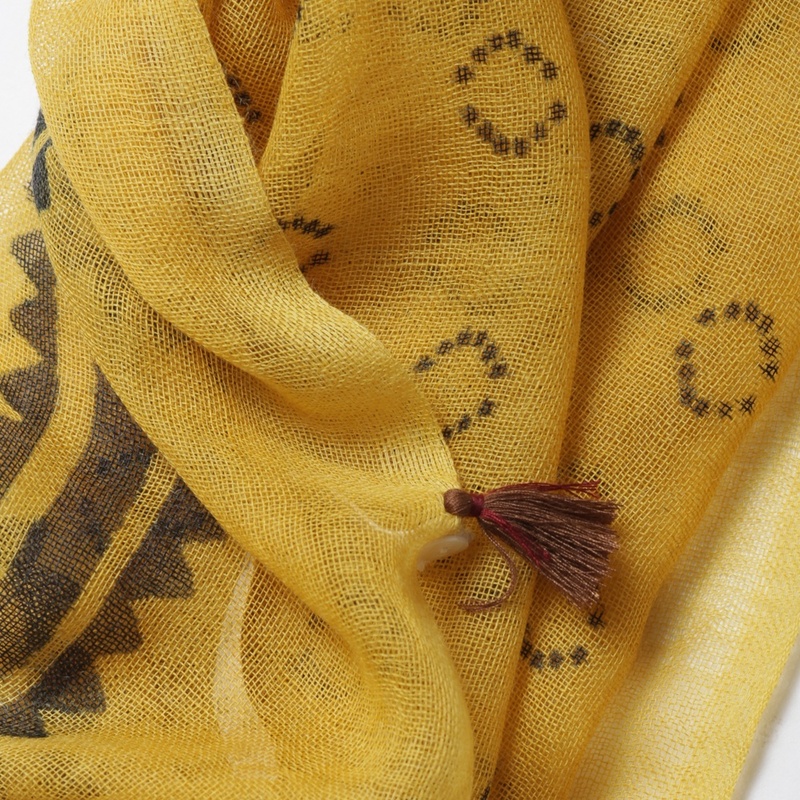 This yellow wool scarf is handmade in India by craftsmen using ancestral printing methods. All cleverlywrapped orders arrive beautifully gift wrapped in our bespoke packaging. Each scarf is wrapped in tissue which is sealed with our black and white CW stickers. 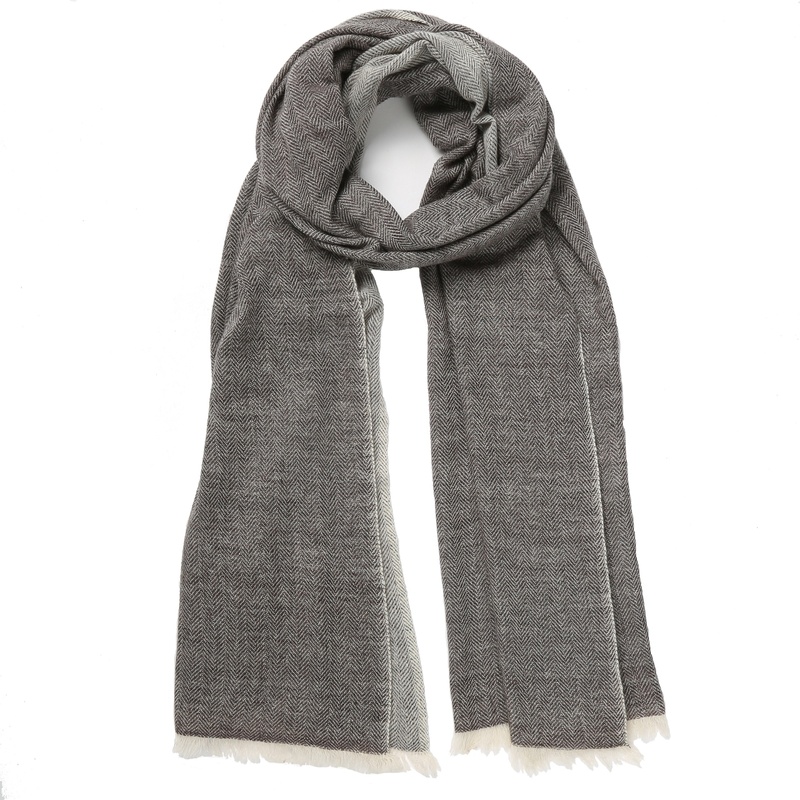 The scarf is then placed in a premium quality charcoal grey box which is then tied with our colourful gros grain ribbon which has our cleverlywrapped logo printed on it. So the scarf is cleverlywrapped and so is the wearer!